The type of table power outlet you choose for your desk will have long-lasting effects. It can also lead to severe consequences on your table. This is why it is important to know which one you are getting and what your needs are. Choosing a table outlet might not seem like a big life decision, and it isn’t, but it’s still good to know what you’re doing. Even though everyone would love to reduce the number of cables they have running on the floor and around furniture, not all power outlets are the same. However, there isn’t a generally better type than the other, it’s all about specific needs and choosing the most suitable type. Not only will you remove all the clutter on your table and around it, but a good table outlet will allow you to connect to the internet, USB, and AC conveniently and make your table even more practical, especially if it’s used for work. Smartdesks.com has a practical solution for all of your power needs. The name says it all, these table outlets usually don’t require large holes or for you to cut out the table to install them. What’s actually so great about them is that they don’t require any changes to the desk in most cases. When it comes to attaching these power outlets, there are several different options. Some are simply designed to rest on top of a desk without being fixed in any way. On the other hand, there is an option with clamps, which allow them to be mounted anywhere you want. In some rare cases, there are also removable options with tiny screws. If you need a table power outlet for a desk that isn’t just yours and there are many others using it, making permanent changes to the desk might be impossible. In this case, using a removable table power outlet. On the other hand, if your desk isn’t fixed and you are working in many different places, a removable outlet might also be a good idea. Of course, removable outlets are also great for those people that don’t want to make holes in their desks. No matter if it’s expensive or antique, you probably don’t want to add holes to it just because of an outlet. Stationary or built-in table outlets are a bit more complex to install compared to removable ones. However, they offer other benefits instead. Stationary table outlets are integrated as a part of your desk, meaning that you need to measure the area you want to insert it in properly. They don’t take any space when done properly and can be used easily on the desk they are installed on. In some cases, but not with all stationary table power outlets, there are additional customization options for all the ports they have and they can also come with closing tops. The closing tops that come with many of these types of power outlets can be completely flush with the top of the desk even when used. This means that the table will look more professional and discreet. For this reason, and because they are permanent, they are often used for meeting rooms and conference tables. On top of that, the customization options that come with these types of outlets open up many opportunities for using them in offices and large business spaces. Similarly to built-in power outlets, this type also requires the surface of the desk to be altered permanently for them to be installed properly. However, instead of having lids or being completely open, these outlets can be retracted inside the desk. They either use a hinge or can be vertically elevated. Pop-out outlets have some similar benefits to stationary ones, as they also look highly professional, aesthetically pleasing, and discreet. However, they offer even greater convenience of access than stationary outlets, as they can be elevated quite high above the top of the desk. They come in many different variations and they can come with several short ports or as full-blown electrical systems that can take care of any power need. Some even have electrical buttons for vertical movement. These are the three major types of table power outlets you can choose from. Not complicated is it? Now see what your needs are and choose the option that is most suitable and it will serve you for a long time. 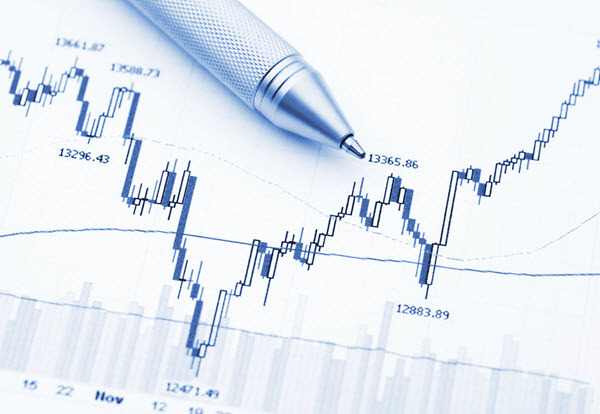 How popular strategies affect Forex-trade online?